If you’re like most people that have had the thought of taking on a kitchen remodel, you’ve asked yourself the question “when is the right time to remodel my kitchen?”. This question has been important over recent years of the downturn in the economy, but even MORE important now. Why? Well…we’ll tell you! A unique thing happens with a downturn in the economy. People buy less, and hold on to their money more because of the uncertainty the anemic economy creates. Because of this, more companies fight with each other to get their share of a smaller number of total deals, so it becomes more competitive. The result of the increased competition is that no one dares to raise prices because they will lose MORE business to the competition. This includes raw-material suppliers and other service providers. On top of that businesses have to come up with ways to attract new customers by introducing promotions and deals they wouldn’t do otherwise. 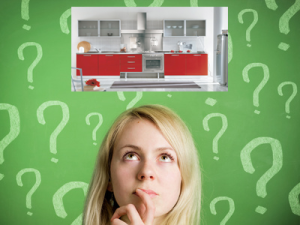 So the answer to when is best to remodel a kitchen? It’s when companies are hungry for your business and prices are LOW. When the economy begins to rebound, as it is now in many areas of the country (construction at least), that “great-deal” window starts to close. Businesses get busier, including raw-material suppliers, and everyone gets more confident in raising their prices. How much will prices go up? Well, since they’ve been holding on to price increases for potentially multiple years, you can expect that it will likely be a significant jump. And even if small businesses don’t want to raise their prices, their suppliers will, so it’s inevitable that the consumer will see it. We tell you this because NOW is the right time to take advantage of the remnants of the downturn before everyone gets busy and prices go up. It has already begun in many markets, and will be everywhere in a short time. Interest rates are still historically VERY low, and many dealers will actually provide financing options for you. So you can ENJOY the new kitchen – so many people wait to remodel until they are ready to sell. Then they never really get to experience their new kitchen! It’s a crying shame! High ROI – your return on your kitchen investment is still one of the best things you can do to your home and regain up to 80% of that investment back in the future because of increased value. With prices low, the actual return is even greater. Technology Makes a Difference – Today dealers use technology to help you see and understand exactly what you’re getting before you even sign the proposal. It’s actually very impressive what they can do in electronic kitchen design. Until this time consumers had to have a leap of faith that it was going to look like what they perceived. So don’t miss the opportunity to get a great deal now and take advantage of the lower prices, promotions and other great market dynamics that are available. Otherwise you’ll be saying “I wish I would have” instead of sitting back in your new kitchen feeling great about your timing in making the decision. And when you’re ready to go, download our Free Kitchen Remodel Survival Kit to help you get through it correctly.